A comprehensive listing of classes, certifications, documents, and a dictionary. 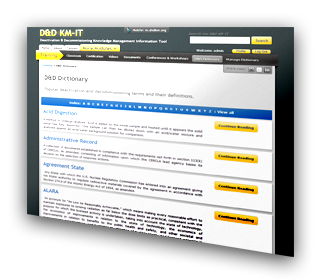 The Training module provides a central location for D&D related training as well as certification. The module provides various media forms of training: video instruction, documentation, and classroom scheduling. There are also outlines and certification information. No Events to be displayed.